My passion for fishing started about the time I was able to walk. Originally from Paterson, New Jersey, when it came to fishing I had the best teacher, my Dad, John “Cobby” Carbone. Together we’d fished the local ponds, rivers and of course the Jersey Shore. We fished for everything you can imagine, Carp, Bass, Sunfish, Perch, Trout and worked our way up to Porgies, Blowfish, Blues, and even Marlin. I first started offering guided fishing tours in 1991 in the Florida Everglades part time. Then as fate would have it, it turned into a full time business and I founded Hawghunter Guide Service in 1993. Since then, I have been featured in several National TV Shows & Magazine’s for spectacular guided fishing trips and trophy fishing in Florida, Mexico, Panama and The Amazon. We do not use any gimmicks such as “No Fish No Pay” like some of our competition. Any true fisherman knows fishing is fishing, and we give you our best efforts on the water to put you on the fish and have fun doing it! Looking for the best in Florida guided fishing trips? My success is proven by my honesty & large return-costumer base. you can judge for yourself. 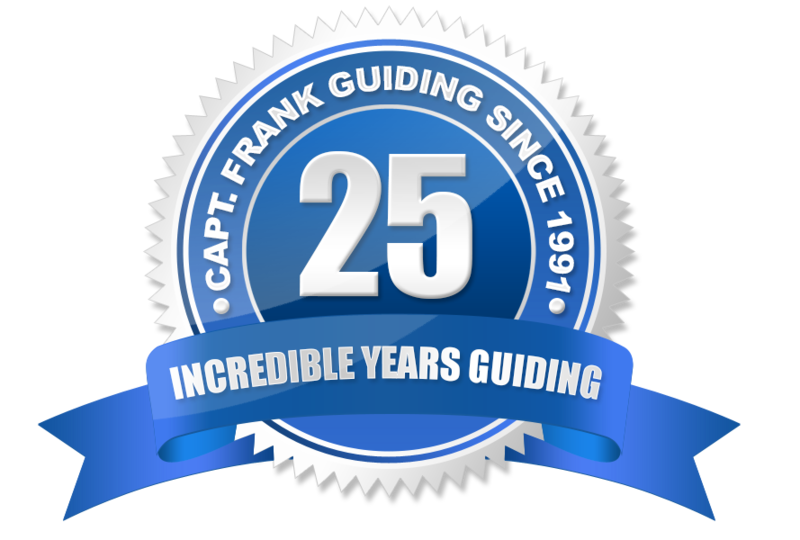 Contact Captain Frank today! Is he a Full Time Fishing Guide? Is he properly Insured & USCG Licensed Approved? What kind of Fishing Equipment & Boat? What is his Fishing Biography & Fishing Accomplishments? Who are his Fishing Sponsors? Fishing TV Shows? Fishing Magazine’s? Look no further… Hawghunter Fishing Guide Serivice passes all these qualifications and more! CONTACT US TODAY!